The crocodile has always figured prominently in tropical Australia. The crocodile is a prominent figure in aboriginal culture, appearing frequently in stories, songs, artwork and other parts of the culture of tribes in the region. 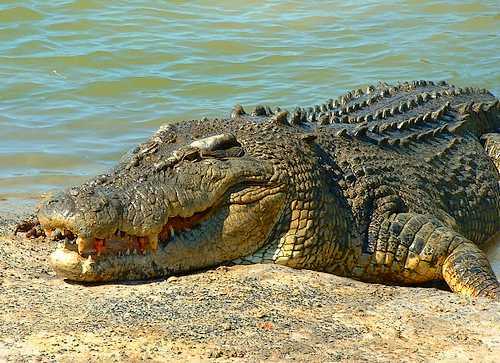 The croc has also emerged as a symbol of the region. The Townsvile Crocs are one of the region’s pro basketball teams. There are car rental companies, hotels, restaraunts, even an ice cream bar named after crocodiles. The toothy grins of these cartoon figures appear all over the place.